Mr.M.R.K.P.Kathiravan-Chairman of M.R.K Institute of Technology is well known for his philanthropic attitude and service. He envisioned a technological revolution and committed himself to establish an institution, to foster technical and higher education for rural areas. The lush green environment, the expansive buildings, the well-equipped laboratories and the unparalleled discipline of the students standout as shining examples of his own unique style of management. 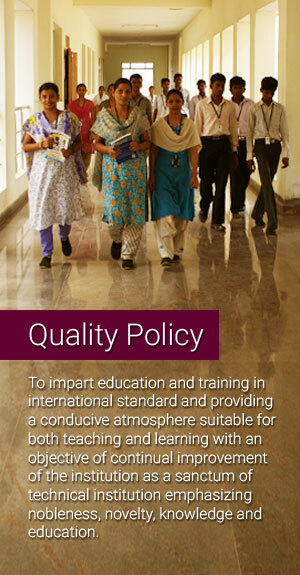 Dear Student, Welcome Home to M.R.K Institute of Technology. The transition from school to college is a very big step in life. You have put in so much hardwork in your public exams, spent sleepless nights, earned a rewarding score and with the blessings of your parents/guardian you have joined your chosen stream of education to realize your life-ambition and set the foundation for your future. By choosing to create a future for yourself from our institution means that we, the teachers and management at M.R.K.I.T are also responsible for your successful graduation and growth. You will cherish every day at your college, right from day one, you will feel welcomed by all of us here – your seniors, your new professors and members of administration you will get to interact with. What’s more the energetic environment will have you charged up to achieve your dream with confidence like never before. I assure you, you will feel at home. It is your career path that you have now embarked upon, which will be a remarkable journey in itself that will prepare you for a life beyond college. We hope to make your journey with us, engaging, encouraging and enlivening as ever, for you to grow as a thorough individual, ready to take on life as an adult. We pray and will work with you to see you become one with the society where your contribution will make a definitive difference to our world. The commitment from us begins from day one – to work with you and walk with you each day all through the years you spend here which is your home away from home. As I mentioned earlier, the learned staff and the ever accessible management is there to guide you through your path and help you nurture your dreams and fulfill them, by empowering you to realize your true potential. Be it studies, sports or any extracurricular activities, you don’t just graduate with a degree and a certificate, but become a graduate of life and a true citizen of the world of tomorrow. 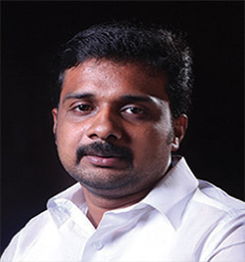 PRINCIPAL Prof. K. ANANDAVELU, M.E., Ph.D., MISTE was graduated from the University of Madras and completed his post graduation from Annamalai University, where he excelled at both academic and extracurricular activities. From the juvenile period of his educational career he devoted himself towards studies. 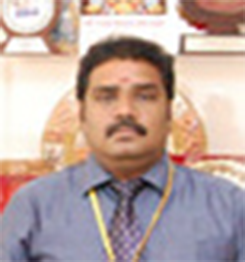 He attained his doctorate in Mechanical Engineering from Anna University. He published several articles in National and International journals and also presented papers on various topics. As a man of action he takes up the maiden Principal of MRK Institute of Technology. As a multifaceted personality he has been serving the institution from its inception. He is the enterprising head who initiates various associations and clubs to the college. The strong belief that the technological growth would lead the nation to peace and prosperity, the need to provide educational empowerment to the larger section of society, he takes all the feasible steps to attain this greatest goal. The positive attitude and analytical power of him give a lot of courage to lead a more sophisticated life in future. Besides he is a good disciplinarian and versatile genius.